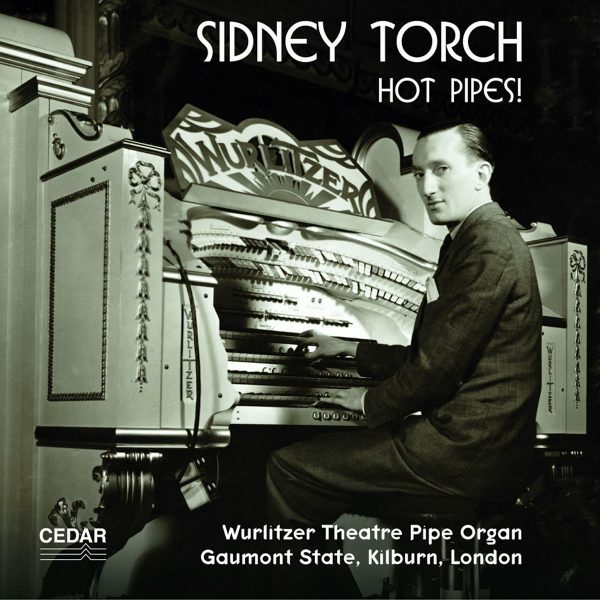 Sidney Torch – Hot Pipes! 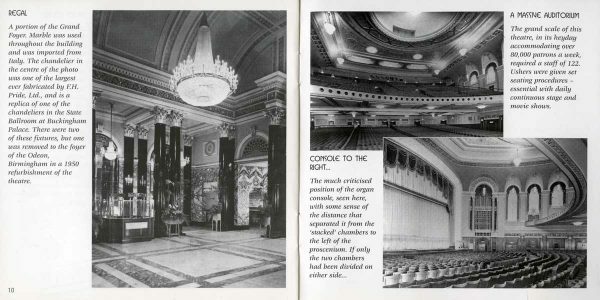 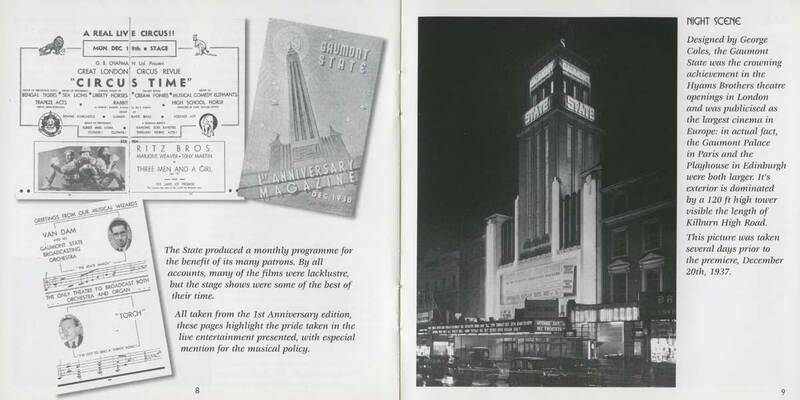 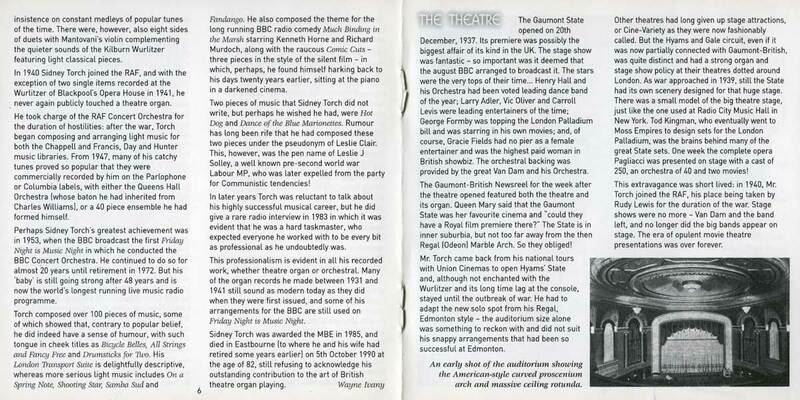 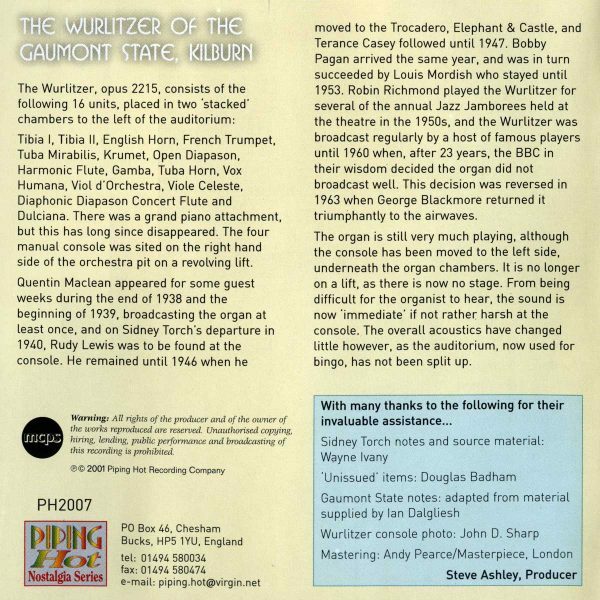 Digitally remastered recordings from the 1930s playing the Gaumont State Wurlitzer, Kilburn. 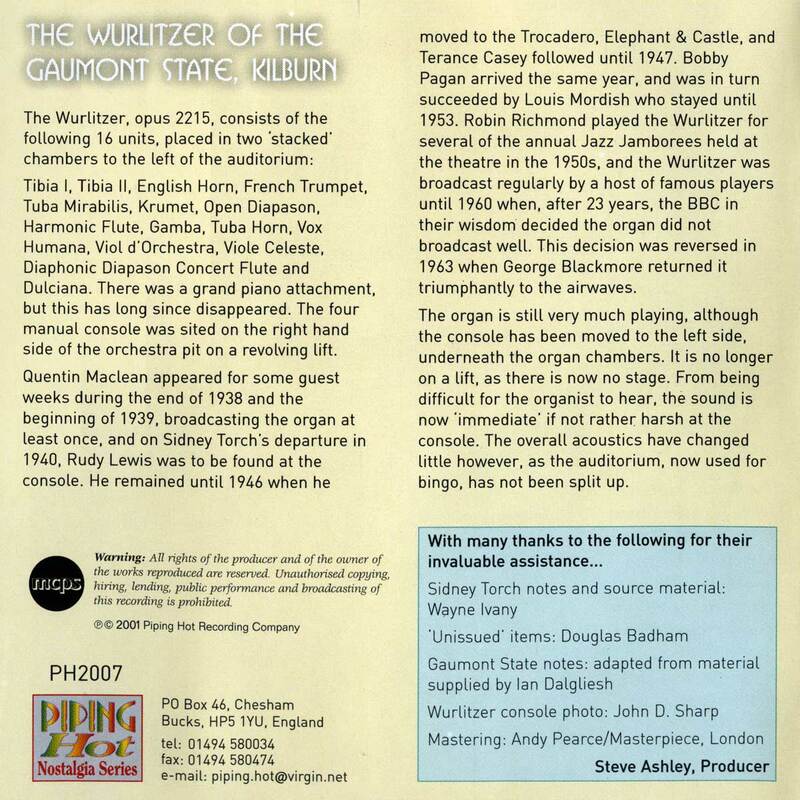 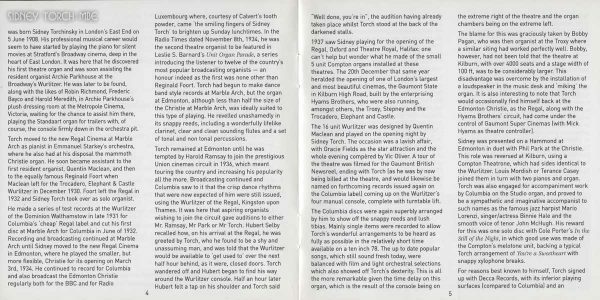 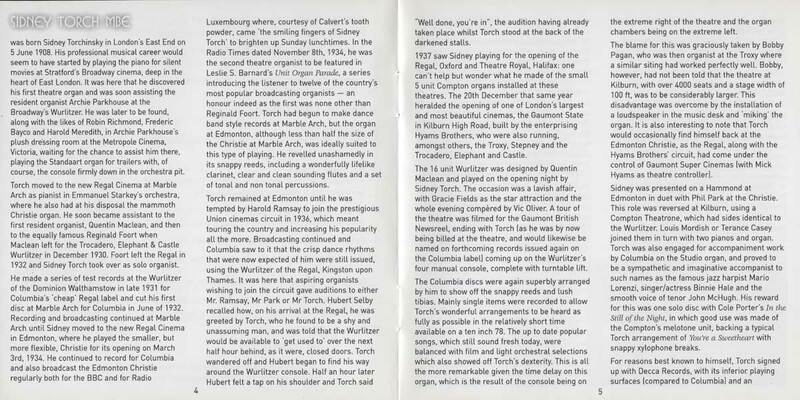 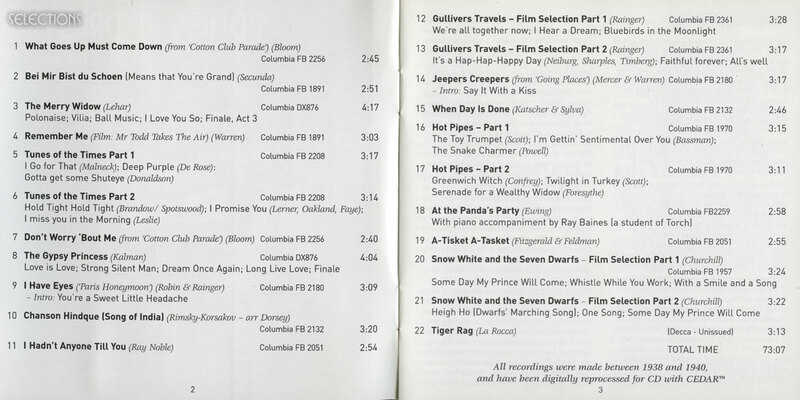 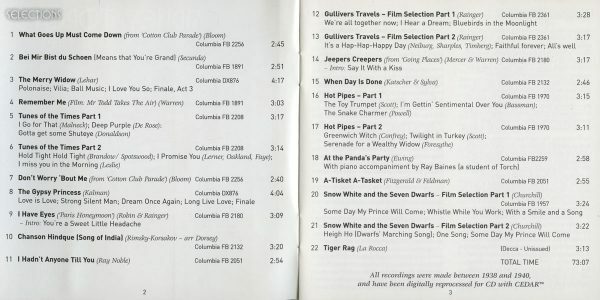 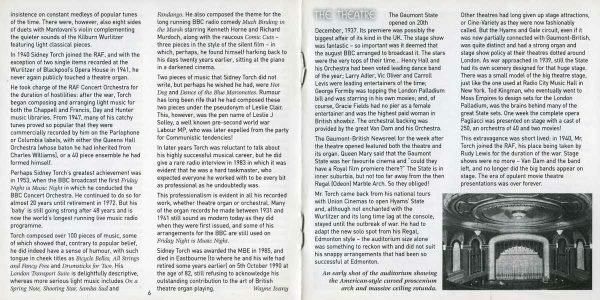 2001 release – Digitally remastered recordings from the 1930’s playing the Wurlitzer of the Gaumont State Theatre, Kilburn, London – Comes with 12-page booklet/inlay.